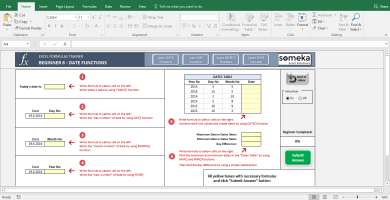 The major feature that Excel provides us is Excel Formulas & Functions. 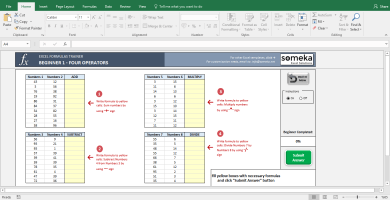 Do not ever forget that if you start repeating the same action in Excel, there should be an Excel formula designed to solve your specific issue. 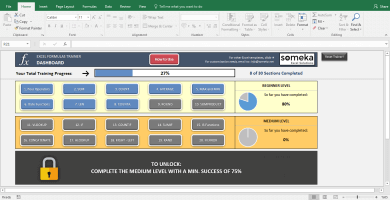 We have prepared Excel Formulas Training Kits for you to check your Excel Formulas knowledge, improve your skills with hands-on experience and to feel more comfortable with Excel. Within these training kits, you will find yourself both learning and practicing Excel Formulas at the same time. 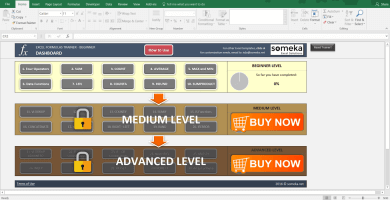 Considering your level of Excel knowledge, we have prepared 3 separate contents. Each kit includes 10 sections and around 30 questions. We have also designed a Bundle Training Kit which involves all above 3. Please follow the own pages of training kits in order to get more info and detail.